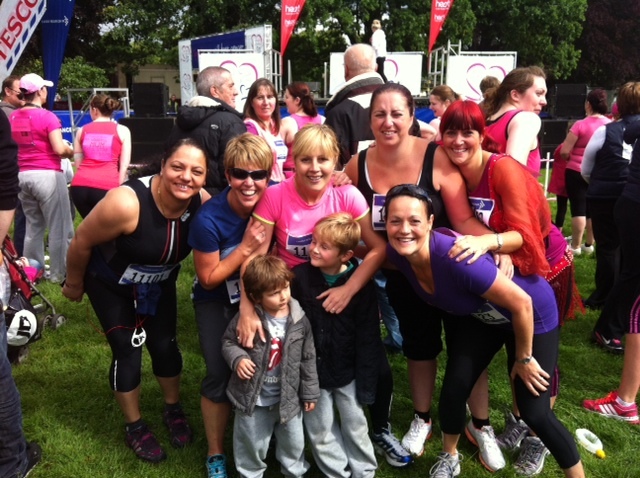 Atherapy: Mums on the Run! ” Mums on the Run” are a group of lady runners based in Wootton, Northampton who regularly run following their ‘school runs’ in the mornings. Following a few minor set-backs whilst training for the 10K Race For Life in Abington Park Northampton, 2 of the mothers consulted Harry Bedford the physiotherapist Atherapy Physiotherapy clinic in Virgin Active’s Northampton Riverside Gym. Harry quickly diagnosed Stacy’s 2 month history of medial shin pain and corrected it with hands-on treatment and functional based training, he also helped release muscular tightness to Nicky’s hamstrings and “Gluts” through specific sports massages. 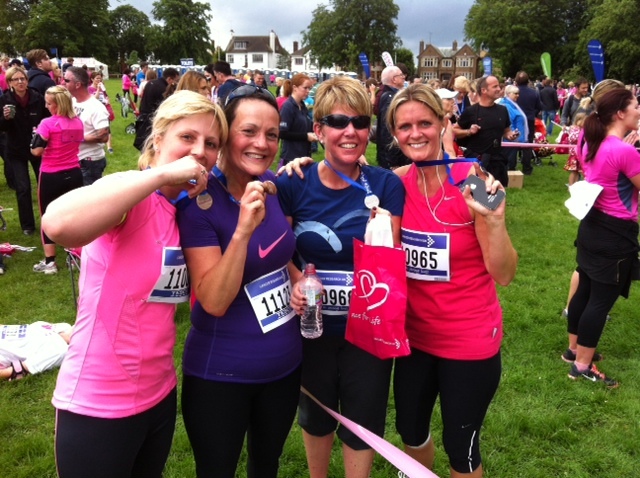 Both Stacy and Nicki, along with other members of the “Mums on the Run”, managed to complete the 10K in a very respectful time of 62 minutes. The girls with their hard earned medals! The ladies both stated, ” This is without doubt the hardest run we have done, and without the skills of Harrys hands-on treatments there was no way we would have completed the run! !” Thank you Atherapy!! !